The licensed plumbers at Beaverton Plumbing near Portland, OR, are ready to handle any and all of your plumbing requirements. Whatever the reason you might need an expert professional plumber, such as repairs, remodels, tenant improvements, or new construction, we are here for you. Plumbing is an area where you don’t want to skimp, when you consider the value of employing the services of a reputable plumbing contractor. Take, for instance, our knowledgeable experience in the area of pressure-reducing valves. The average homeowner is not educated in the nuances of water pressure, butwe can assess and determine whether your pressure-reducing valve is functioning properly. A non-functioning valve can cause water pressure to be too high or low. The proper water pressure will prevent pipes from knocking and will also increase the efficiency of your appliances, such as your washing machine and dishwasher. 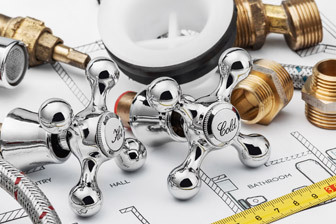 Beaverton Plumbing will ensure that your plumbing is safe and properly installed to code. If you have any questions or wish to request service, you can use our customer contact form and we will respond as promptly as we can. Whether it’s an emergency need, orscheduled residential or commercial projects and services, Beaverton Plumbing is ready to provide a fast response and is eager to help you with any of your plumbing needs. We invite you to call us today or use our contact form, and a helpful representative will contact you as soon as possible.